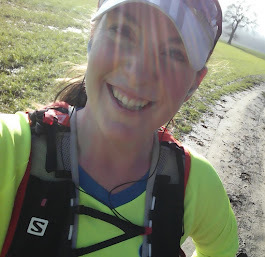 These days I call myself a runner...: I'm running The London Marathon next year! I'm running The London Marathon next year! I received in the post yesterday my rejection magazine from the London Marathon team to say I hadn't got a free ballot place for the event 2010. To be honest, I'd nearly forgotten that I'd applied earlier this year, and haven't been doing any exercise, never mind running, for ages! 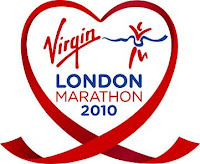 But, reading the magazine really reminded me of this time of year in 2007 when I had decided that I would run the 2008 London Marathon, and I was in the middle of training. I was dedicated to the cause, very proud of myself, getting fit and enjoying the experience...although admittedly my social life was taking a hit! I made a decision yesterday that I wanted to repeat that experience and run a marathon again. I got in touch with the RNLI who I had previously been accepted by, for a place, and asked if I could have a place for 2010. I reactivated my membership of the online running communities, and produced a training schedule (which I took home and stuck on the fridge door!) I started feeling very dedicated to the cause and when I had a mail back form the RNLI today to confirm that I could have a place, have decided there's really no turning back. I'm incredibly unfit at the moment, and as a result of a complete lack of self-discipline at work (Google's free food is legendary!) I have put on lots of weight....so training for the marathon is going to be a completely new lifestyle for me, but at the moment I'm feeling really confident that I can do it. Good for you Naomi. I really admire your dedication. A marathon is a hell of a long way, but you know that better than I do. I'm sure you'll enjoy the training, the feeling of taking control not to mention the increased fitness that you start to notice. Keep blogging! First week's training has gone well!